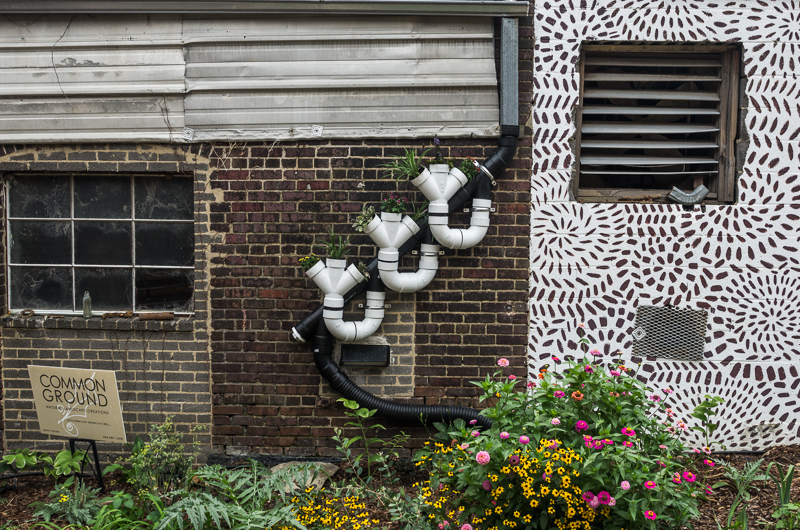 Artist Buster Simpson created his vertical landscapes and hydroponic system to the downspouts of the back alley of the 600 Block of South Elm St. behind Elsewhere. This project was funded by Elsewhere. Native species were selected for their hardiness and sun/shade tolerances, and runoff from the roofs of Elsewhere and it’s neighbors feeds the system. These particular pipe designs create a water table system that keeps the plants hydrated between rains.